GatorWorld is billed as a “Discover Authentic Old Florida Culture”, one-of-a-kind, a little off the beaten path, a new attraction with the planet’s only Drive-thru Alligator park. 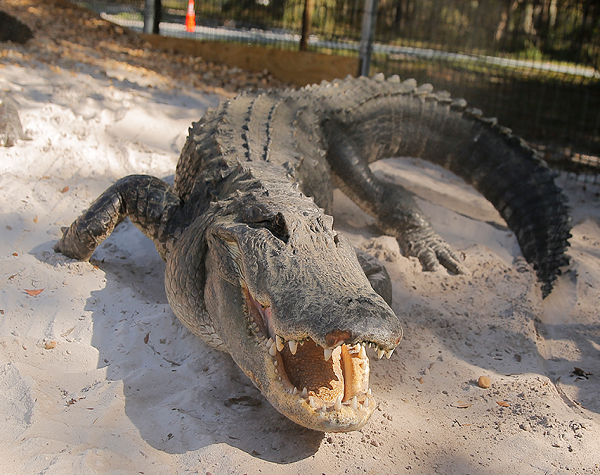 They also have a 15-acre Alligator Sanctuary with over 400 rescued gators. 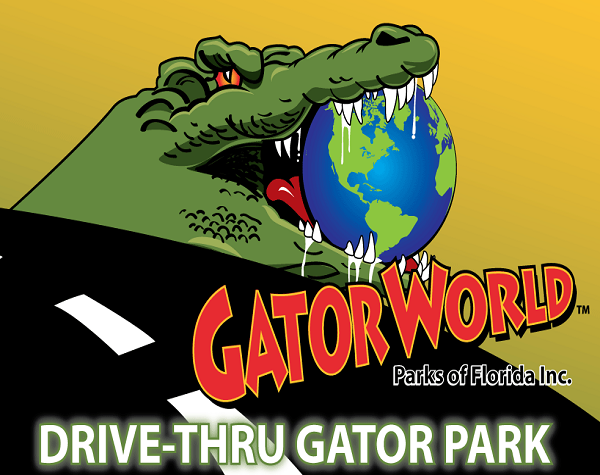 GatorWorld is a drive-thru attraction as opposed to a theme park. 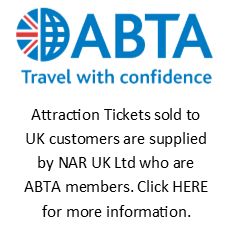 Vacationers with only limited time to spare can expect a visit to last about 1.5 hours. It all depends on how long you wish to enjoy the animals and if you can get the kids out of the petting zoo! Entering the park through the main gateway puts you on a scenic gravel roadway snaking through the front end of the park under massive arching live oak trees full of hanging moss and providing views of some monster gators lounging in roadside pools. 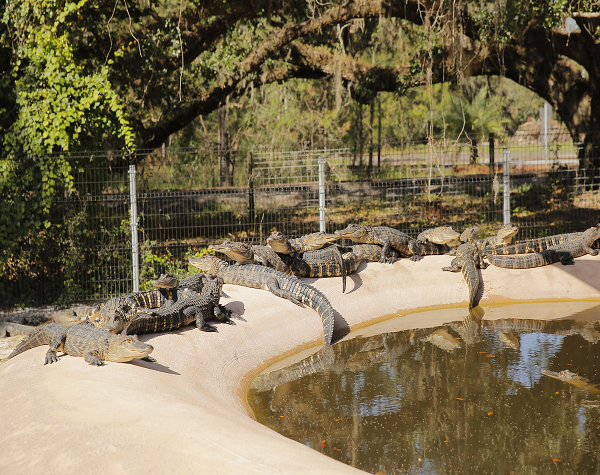 The specially-constructed pools are surrounded by common areas for the Gators to wander around in. 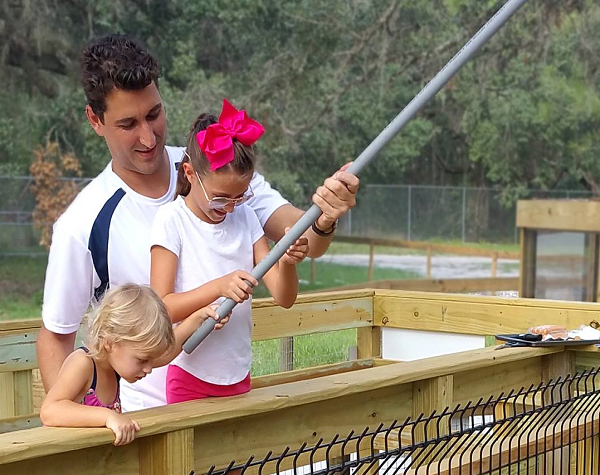 At the end of the tour, you can get out and see younger gators, feed some gators and hold a gator. 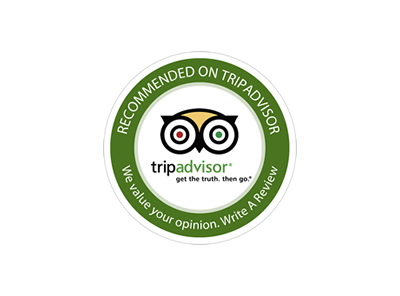 The park is very kid friendly and the staff is welcoming, friendly and knowledgeable about the animals. They have LOTS of farm animals in the petting zoo and very cute Bunny Barn with lots of soft baby bunnies for little ones to pet.